That was a pretty bold statement for a man who actually could not read a note of music himself or who never experienced Christmas as a child. After all, he was a Jewish-American composer, the son of immigrants whose own holidays as a youth were remembered more for their poverty than for anything else. 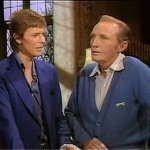 But he was charged with writing songs about every major holiday for a film titled Holiday Inn starring Fred Astaire and Bing Crosby. And of all the holidays he wrote about for that film Christmas presented the greatest challenge. His name was Irving Berlin. 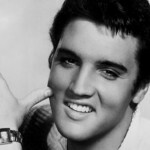 And he was the most prolific songwriter of American music in the 20th century. Born in 1888, his self-developed songwriting talents produced music still beloved generations beyond their time. From Alexander’s Ragtime Band to There’s No Business Like Show Business Irving Berlin had a talent to not only create a tune that everyone would whistle but he wrote lyrics that spoke from the heart of America. One such example occurred at the end of World War I when Berlin introduced God Bless America, famously performed by Kate Smith. The song generated such sentiment that serious efforts were made to replace the national anthem with this patriotic song. Even now decades later during another moment of national crisis that Irving Berlin composition stirs the souls of all Americans. So when Bing Crosby assured Berlin that White Christmas was a winner Crosby knew then what others would shortly feel as America marched off to World War II. 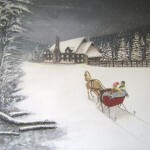 These days, we sing White Christmas with a Currier and Ives-like scene in mind. But for the folks who heard it for the first time for real it had a most profound meaning. The year was 1941. It was a time when folks were possessed with worries of an unstable world, of loved ones being shipped off for war not knowing when they would be together again and when futures were put on hold. A Christmas “just like the ones I used to know” was definitely something to hope for and a sentiment they shared equally. 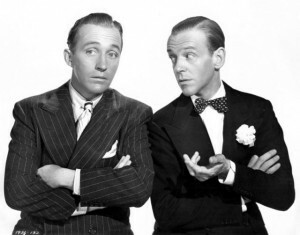 For most of the folks listening to Bing Crosby’s radio show on NBC their thoughts were of separation during many Christmases to come. Nobody knew how long the war would last or what the outcome would be. For many, facing Christmas under these circumstances made White Christmas a song listened to with reverence and reflection. As the war progressed, it became, in essence, an anthem itself. 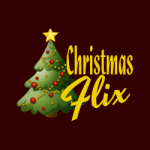 Christmas 1943 saw many families torn apart as America fought the war on two fronts. Christmas 1944 was a cold, bitter and frightful time for folks living continents away. This song was cherished on both sides of the ocean, and revered for the sentiment it carried. 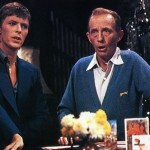 By the end of the war, White Christmas had become the biggest selling single of all time. 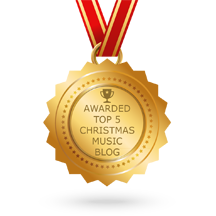 For the next several years it raced up the Top 30 charts no less than 16 times and it remains, to this day, the most popular recorded holiday song ever. Bing Crosby performed for the troops overseas in countless places during the war. Without fail, he recalls requests for White Christmas regardless of the season. “It really got so that I hesitated about doing it because invariably it caused such a nostalgic yearning among the men that it made them sad. Heaven knows that I didn’t come that far to make them sad. And for this reason, several times I tried to cut it out of the show. But these guys just hollered for it.” Crosby said. So popular was the recording that Crosby had to re-record it in 1947, because the masters of his 1942 recording session were worn beyond use. 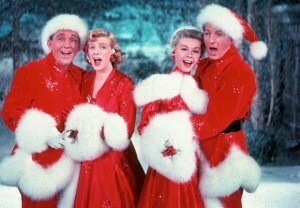 Well after the close of the war, Crosby starred in a syrupy and plot-challenged holiday film also called White Christmas co-starring Danny Kaye. The movie was a hit that created another surge in popularity for the song. 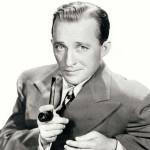 The song defined Bing Crosby’s career. For over 50 years it remained the biggest selling single of all time in all song categories and was only surpassed in 1998 by Elton John’s Candle in the Wind recording in honor of Princess Diana. White Christmas has endured recordings by various artists — there are over 500 known versions! And it has been translated into 25 different languages. While it is performed each holiday season, it seems to get an unusual amount of attention from the military. Even during the Vietnam War, a war that Crosby was privately opposed to, White Christmas was used as a signal song to waiting Americans who were evacuating the embassy in Saigon. When the signal phrase “It’s 105 degrees and rising” was uttered followed by the playing of White Christmas a mad scramble ensued for waiting helicopters effectively ending America’s presence in Vietnam. There are times when the most impracticable of elements combine to create something special. Such was the case with the creation of "White Christmas". And for most of us today, Christmas is just not Christmas without it. One of my favorites ? ?